I think I'm gonna go with the Republic here......they look the coolest. You sir.....deserve a high five. CIS; they have the best-disguised snipers. [NH]Shadow wrote: CIS; they have the best-disguised snipers. Agreed, the Magna Guard is pretty good as well. 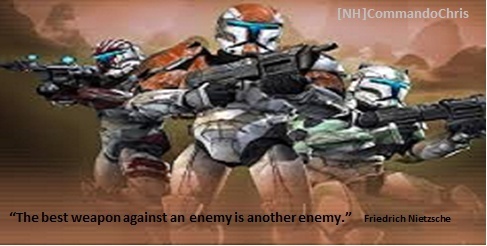 The CIS snipers blend in very well with the terrain on geonosis..land they are really hard to hit. what reps are sweet with new skins!